To entertain people is a fun and rewarding experience where everyone wins. Audiences have plenty of time to kill and be amused subjectively, while entertainers gain fame and fortune for showing off their unique skill sets or just their wit to interested viewers. This symbiotic relationship is such that is has become an essential part of human culture. The world of entertainment has established itself as a prominent industry, with many entertainers making their debuts faster than ever in recent years. Accessing entertainment has also never been as easy as before ever since the advent of the internet. Because of the ease of access that the internet provides to people, pretty much anyone from around the world can communicate with each other almost instantly, depending on the speed of their network. The internet has since evolved to not only share information with others, but also to give a show of spectacle. Entertainers don't necessarily need to leave their room anymore to make people laugh or cry or just get them angry; all they basically need is a camera, a fast internet connection, some strong video editing skills, and maybe even a prop or two to jazz things up. There are many mediums entertainers use nowadays to make their grand debuts and promote themselves. One popular and easy method is by using YouTube. The world's most popular video sharing site where people can upload all their original video creations like how-to videos, parody videos, skit videos, karaoke videos, compilation videos, web series, music videos, documentaries, and many more. 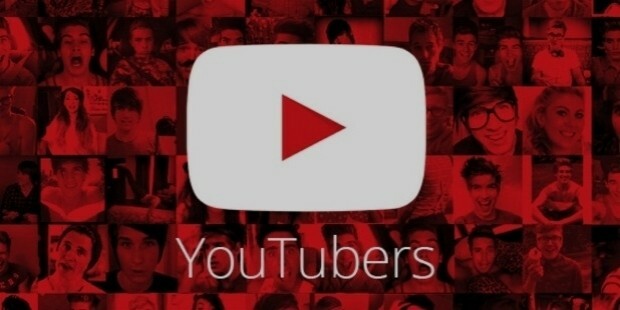 For the really popular ones, they have a significant amount of subscribers and they have gained them for many reasons, either they are funny, inspirational, wacky, daring, master editors or just have a cute face. That being said, let's take a closer look at some of the most popular YouTubers from Asia or those with Asian descent featured below. 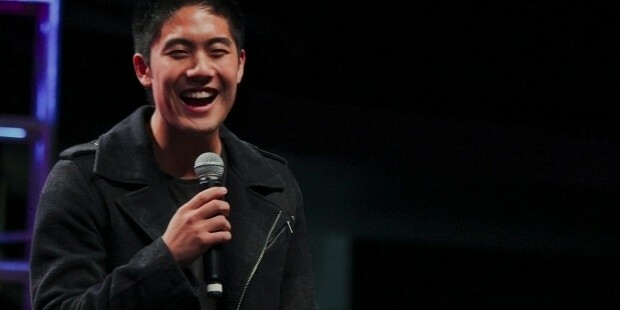 Ryan Higa (pictured below) is an extremely popular comedian whose YouTube channel is one of the most subscribed on the website with over 19 million subscribers as of June 2017. Higa is of Japanese descent, born in Hawaii on June 6, 1990, and began his YouTube career with Sean Fujiyoshi by lip syncing songs in 2006. He eventually made hilarious how-to videos like How To Be Emo, and How To Be Ninja, and many more. By December 21, 2010, his channel became the very first on YouTube to reach 3 million subscribers. His YouTube username is more commonly known as nigahiga which is a combination of “niga” which is the Japanese word for “rant” and “higa” which is his last name. In 2011, he created a second YouTube channel called HigaTV, where he posts video blogs and behind-the-scenes videos. Aside from his flourishing YouTube career, Higa also studies nuclear medicine in Las Vegas, Nevada, USA. To see a selection of his videos, here's a link to Ryan Higa's official YouTube channel. Natalie Tyler Tran (pictured below) is an Australian actress, comedian, writer, and producer whose username is the very popular communitychannel on YouTube. Her videos are a combination of monologue and sketches that focus on the comedic aspects of everyday life. Tran's videos are usually described as “charming, quirky, and hilarious”, which have granted her many subscribers with over 1.8 million people as of June 2017. She started her YouTube career on September 25, 2006 with a 42-second video of her ranting about someone’s quiz on the social networking site, MySpace. Tran is of Vietnamese heritage and was born on July 24, 1986. She is well known for her creativity and being very internet savvy. Tran has also entered the annual list of Sydney's 100 Most Influential People. Tran also actively participates in award shows and conferences. In 2010, Tran was ranked 10th in TubeMogul’s list of top earners from YouTube, earning over $100,000 in that year. Here's a link to her official YouTube channel to see more of her videos. 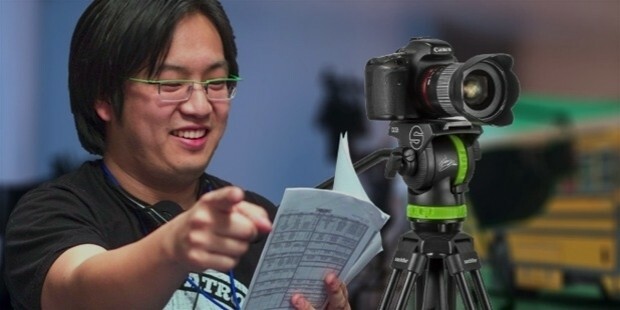 Freddie Wong (pictured below) is an American filmmaker, VFX artist, musician, and competitive gamer. He is also the older brother of actor and YouTuber Jimmy Wong, who also happens to co-star in his web series called Video Game High School. Wong had just won first prize in the Guitar Hero 2 World Championship tournament when he started uploading his YouTube videos. Wong became popular due to his comedic and video-game related content. In 2011, Wong and his partners Matt Arnold and Desmond "Dez" Dolly formed RocketJump, a production company where they made their Video Game High School web series. Wong graduated from the University of Southern California School of Cinematic Arts. He also owns and manages Overcrank Media which is a production company known for online video content and feature films. Here is a link to his YouTube videos for those interested in viewing Wong's body of work. 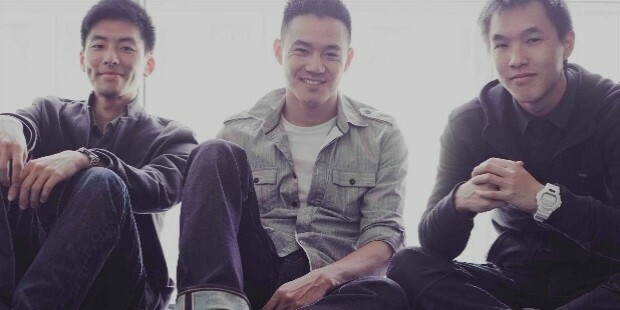 Wong Fu Productions is an Asian-American filmmaking group founded by and composed of Wesley Chan, Ted Fu, and Philip Wang (all three pictured below). The trio met in 2004 while they were attending the University of California, San Diego. They have produced a lot of music videos and short films on their own website prior to uploading them on YouTube. After graduation, they established their media company, Sketchbook Media. As of June 2017, their subscribers reached over 2.8 million..
Wong Fu Productions was at first known for its independent music videos of independent music artists, then they gradually began making short films and became famous for them. The group then decided to do feature-length films after the success of their first one titled, A Moment With You. The group also handles a series of multidisciplinary concerts in California called International Secret Agents. Here’s a link to the group’s official YouTube channel to view more of their engaging content. Kina Kasuya Grannis (pictured below) is an American actress and singer-songwriter. Grannis had won the 2008 Doritos Crash the Super Bowl contest which earned her a contract with Interscope Records and had her music video showed during the commercials of Super Bowl XLII on February 3, 2008. In the 2011 MTV O Music Awards, she had won the Best Web-Born Artist. As of June 2017, she has over 1.2 million subscribers on YouTube. Grannis is half-Japanese and grew up in Mission Viejo, California where her love for music began. She has two sisters, Misa and Emi Grannis, both of whom occasionally appear in her video blogs, as well as accompanying her at her concerts and tours. Grannis is also an avid supporter of cancer research. Here’s a link to see her published YouTube music videos. Karen Yeung (pictured below) is a fashion, beauty, and lifestyle blogger who is also known by her username Iamkareno. She currently lives in Los Angeles, California. Her style and aesthetic is influenced by the toughness of the city and the lax suburban lifestyle which also formed her slogan “Red Trends of the Cheeky Girl”. As of June 2017, she has over 1.4 million subscribers. Yeung was born in Hong Kong but was raised in the San Francisco Bay Area of California. She attended the University of California, Davis where she earned a BA in International Relations and Communications. She has two younger siblings, Josh and Tina Yeung. Additionally, she arrived in the United States when she was eight years old. Here's a link to her official YouTube channel to view more of her videos.